This issue of the newsletter reveals a variety of new facts about Fabergé eggs made over 100 years ago! Also completed are the Fabergé Imperial Egg Chronology of 52 Tsar Imperial eggs thanks to the efforts of Will Lowes, Adelaide, Australia, and a new mobile friendly look for our website thanks to Ben Swindle at Ben’s Computer Services, Falkville, Alabama. Postcard signed in pen, Alix Princess of Hesse. Harrogate. 1894.
from the monogram and crown as Alix, Princess of Hesse and by Rhine on the upper register to the base itself with her imperial cipher as Empress Alexandra Feodorovna. Historical research is a collaborative effort, sometimes the puzzle pieces do not fit on the first try! 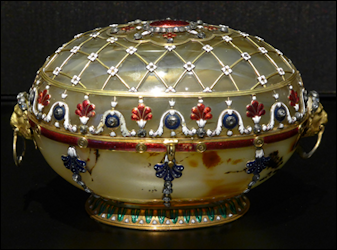 The Virginia Museum of Fine Arts (VMFA) staff and your newsletter editor thank the dedicated newsletter readers whose research contributions during the last year enlarged the body of knowledge about the miniatures in the 1896 Fabergé Imperial Egg. All of the egg’s miniatures were important in the life of Princess Alix of Hesse, later Empress Alexandrovna Feodorovna (1872-1918). The symbolism of her transition from princess to empress is expressed on the stand with a champlevé enameled A with a crown and changing to the AF monogram with a crown for her title as the wife of Emperor Nicholas II after 1894. Twelve miniature paintings signed by Johannes Zehngraf, are framed in chased gold guilloche. Fewer numbers of miniatures have been attributed to Zehngraf in publications after 1945. Apparently this oversight has occurred since not all signatures are visible without dismantling the tiny frames in an egg measuring only 3 7/8” (98 mm) in diameter. 1960 First published VMFA catalog written by Parker Lesley identified 10 sites. 1990’s Independent researcher Marilyn Swezey wrote to the museum identifying the last two sites (not confirmed with archival photos). 1995 VMFA catalog published for the first traveling exhibition of the Pratt Collection written by David Park Curry identified all 12 sites. 2015 Tatiana A. Tutova, who works in the Moscow Kremlin Museum’s Archives, published her research about the 1896 egg and other Fabergé eggs in her book entitled, The Fate of Palace Treasures of the Russian Imperial Court. The Inventories of a 1922 Special Commission in the Moscow Kremlin. 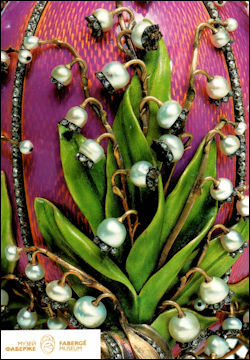 Her specific findings on the 1896 egg are included in a collage of Russian Fabergé egg photographs taken in the 1930’s. Mark Miller, director of the Museum Schloss Fasanerie, found an archival postcard for the Veste Coburg. Shifman suggested a reader’s challenge to find another missing location be published in the Fabergé Research Newsletter, Summer 2016. Two astute newsletters readers published their findings on the Harrogate, UK, mystery – Ursula Butschal, editor publisher of Royal Magazin, and Annemiek Wintraecken, webmaster of Mieks Fabergé Eggs. Along with other historical details Wintraecken discovered a postcard signed Alix Princess of Hesse. Harrogate. 1894 (illus. left above). In February 2017, Elizabeth Jane Timms, a brand-new newsletter reader, advised the portrait postcard is a part of a larger photograph taken in Coburg on the day the future Emperor Nicholas II and his bride, Princess Alix of Hesse, later Empress Alexandrovna, became engaged. 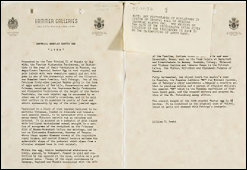 Shifman found the photographs referenced in the typewritten note attached to a Hammer Galleries egg description. There are four of them, depicting eight of the miniatures, and five of them are identified on the back in the same cursive handwriting. We located several of Queen Mary’s letters on Google and after comparing the two, while similar, we do not feel that they are the same handwriting. In the News & Notes column in the VMFA, Winter/Spring 2017 issue (published for museum members) the new research about the fifth and last egg acquired by Mrs. Lillian Thomas Pratt and willed to the museum in 1947 is summarized. The article is reproduced in full courtesy of Ursula Butschal, Royal Magazin. Based on newer information, the statement “of her in front of the house” should instead refer to the engagement photo discussed above. More detail on Mieks Fabergé Eggs. DeeAnn Hoff, independent researcher and history buff, challenged herself to find primary source material (correspondence, diaries, memoirs, etc.) for each of the 12 Zehngraf miniatures to update assumptions suggesting why the landmark locations were selected for the 1896 Easter gift to Empress Alexandra. 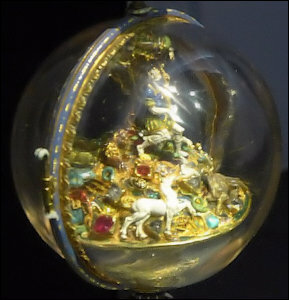 Shifman spearheading this research journey for the better part of a year, and his colleague, Howell Perkins, Coordinator of Imaging Resources, generously shared VMFA’s existing collage of miniatures, context notes, and archival details for the Imperial Rock Crystal Egg (the egg’s alternate name, VMFA Acc. #47.20.32). 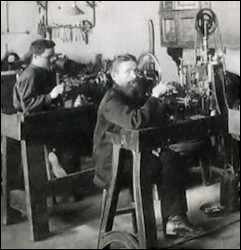 Adding to the completion of the puzzle are earlier research efforts by Katrina Warne, independent researcher, and Marion Wynn, a Romanov enthusiast, who quite some time ago were intrigued with the Empress’ Harrogate connection. 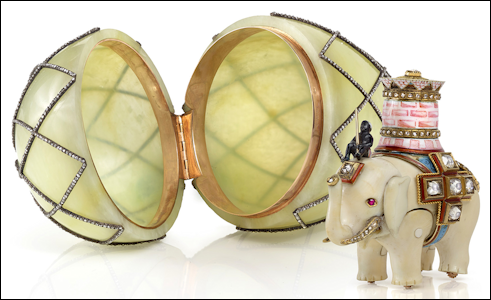 A copy of their publication is attached to Ms. Hoff’s findings which combined with the 1896 Revolving Egg miniatures from VMFA and archival documentation bring alive the history of this fascinating Fabergé egg. 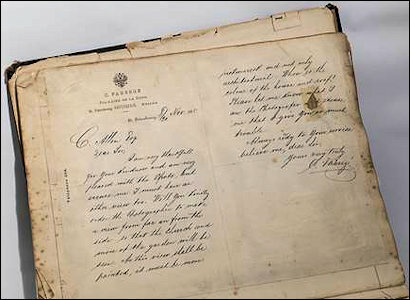 At the Bulstrodes (Christchurch, UK) auction on March 2, 2017, the Harrogate’s Royal Pump Room Museum, acquired through the generosity of Wartski London and other donors a christening set (not by Fabergé), a scrapbook, and two letters written by Carl Fabergé. The letter below relates to the Harrogate miniature ivory painting (a mere 1 x 1/16 in., 2.5 x 2.8 cm) by Zehngraf in the 1896 Fabergé Imperial Egg at the Virginia Museum of Fine Arts. It confirms how the model for this miniature and possibly others were obtained over 100 years ago. Continuing research has clarified the identification of two of the twelve miniatures by the Danish artist, Johannes Zehngraf: ‘The Palace Church, Coburg’ is now accurately identified as ‘Cathcart House, Harrogate, UK and ‘The Old Grand Ducal Palace, Darmstadt is now correctly identified as ‘Veste Coburg’. Questions have previously been raised as to whether two of the miniatures lacked Zehngraf’s signature. When queried independent art conservator Carol Aiken, who studied the VMFA 1896 egg between 1980-2014, responded: “The lack of a signature on a miniature does not necessarily have great significance, because is not unusual to find signed and unsigned images together in a single work (a generalization that encompasses all things set with miniatures, such as 18th century gold boxes or portraits of couples). It is also possible that signatures actually are present but not visible (too low in frame or even trimmed off to fit)”. 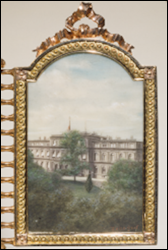 VMFA conservators further examined the miniatures and discerned the three miniatures that did not have ‘visible’ signatures are: Rosenau, Coburg, Congregational Church, and Cathcart House, Harrogate, UK, and Anichkov Palace, St. Petersburg. 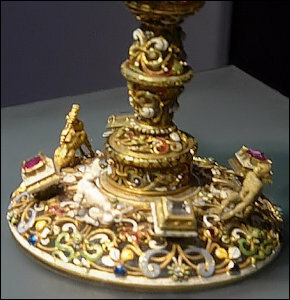 Further examination would involve opening the crystal and then removing the miniatures from their metal frames; this was not recommended due to ‘safety concerns’. These twelve miniatures set in their gold frames, revolving around a gold shaft through the center of the egg of rock crystal, comprise the poignant ‘surprise’ within this Fabergé Imperial Egg presented to Empress Alexandra Feodorovna for Easter 1896. 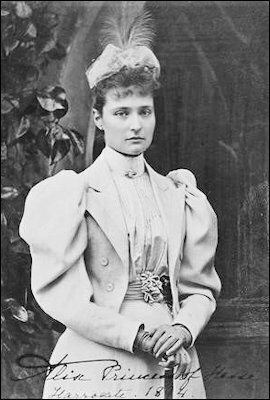 Literature long identified the paintings as locales dear to Alexandra during her childhood up to and including her courtship and engagement to then Tsesarevich Nicholas Alexandrovich. Since 1945 varying captions accompanied these miniature scenes in the post-Imperial publications of the Virginia Museum of Fine Arts ‘Egg with Revolving Miniatures’. No narrative illuminates the deep and personal significance of the sites memorialized in the Zehngraf miniatures more intimately than the words of those who inhabited them. From that perspective, I am sharing a few passages from the genre of letters, diaries, and memoirs. 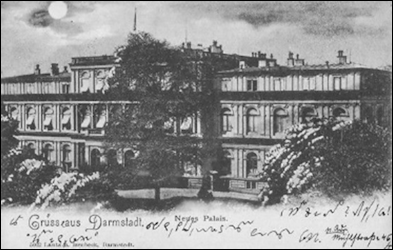 Neue Palais (New Palace) was the birth place of Princess Alix von Hesse-Darmstadt, the future empress of Russia. Darmstadt was the small capital city of the Grand Duchy of Hesse and by Rhine, and the palace, built just six years earlier, was set in a large park beside a lake. The Green Vaults (Grünes Gewölbe) in Dresden was founded by Augustus the Strong in 1723. It consists of two separate exhibition spaces. One is the Historic Green Vault (Historisches Grünes Gewölbe) which has been restored as it looked in 1733, whilst the New Green Vault (Neues Grünes Gewölbe) is a more modern museum setting. Both are “must visit” sites, if you are in Dresden as I was in October 2016. Looking at the treasures I recalled that Carl Fabergé had lived in Dresden as a young man and he would have been very familiar with the wonderful items on display in both vaults. The Renaissance Egg was the last Fabergé egg presented by Alexander III to his wife Maria Feodorovna in 1894. It is generally agreed that it was inspired by an 18th century LeRoy casket in the New Green Vault. 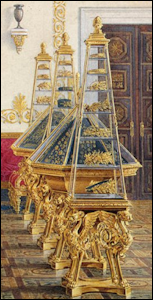 Nearly all the items on display in the New Green Vault have little cards next to them detailing the object, but there was nothing by the casket to say what it is, or that it had inspired Fabergé. The surprise is now thought to be the Resurrection Egg which shows the risen Christ standing on a tomb with an angel on either side inside a rock crystal egg. The idea that this was the surprise was suggested by Christopher “Kip” Forbes before the Forbes Magazine Collection sold its Fabergé eggs to Viktor Vekselberg in 2004. 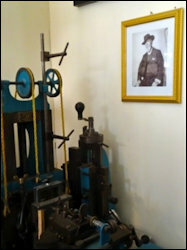 In the New Green Vault, but in a different room to the casket there is another object (illustrated left below) mentioned by A. Kenneth Snowman, which is a possible inspiration for the Resurrection Egg. Annemiek Wintraecken has found and discusses on her website an eye-witness account of Fabergé eggs shown at this venue. Further details including a video of the event were published: “Prince Youssoupoff’s Fabergé’s Egg Is on Display”, Romanov News/Новости Романовых, January 2016 [sic, more correctly 2017], #106 published by Ludmila & Paul Kulikovsky. “Fabergé’s 1907 Yusupov Egg Out of the Shadows” by Paul Gilbert appeared in the author’s blog, Royal Russia News, January 18, 2017. Emperor Nicholas II’s 1911 Easter gift to his mother, Marie Feodorovna, is described in the official invoice as “1 large egg in the form of a bay tree…”1 – botanically, however, it is an orange tree. The person responsible for the invoice may have been an astute accountant – but obviously not a horticulturist. At the 2016 International Academic Conference Fabergé in St. Petersburg celebrating the 170th anniversary of the birth of Carl Fabergé, another presenter, Alexander Krechmer, also questioned the accuracy of the 1911 invoice description. Bay tree blossoms have rounded petals. 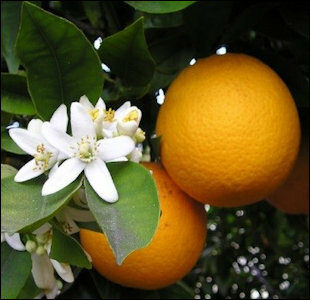 The “110 opalescent white enamel flowerets” (as they are described in the invoice) have pointed petals – as do orange blossoms. Bay trees have small berries. 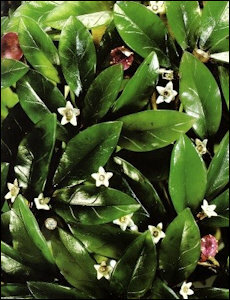 The “25 diamonds, 20 rubies” interspersed among the “325 nephrite leaves” are far more suggestive of oranges in both scale and color than berries. 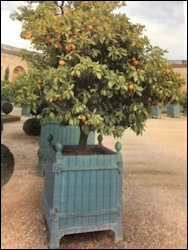 For centuries palaces and castles boasted of special structures in which to over-winter precious citrus trees in rectangular tubs. 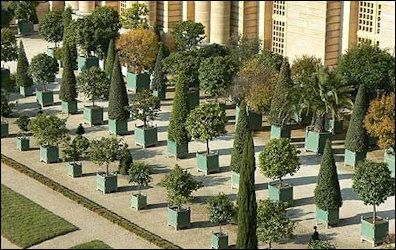 These well-fenestrated buildings are called orangeries.2 Topiary bay trees are found in kitchen gardens – not in Royal apartments – even in miniature. 1Fabergé, Proler and Skurlov, Imperial Easter Eggs, 1997, 197. 2Essays relating to this topic are “1911 Bay Tree Egg – Its Antecedents” by DeeAnn Hoff, Fabergé Research Newsletter, Fall 2013; the Fabergé Imperial Egg Chronology. 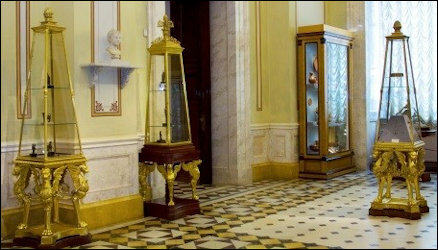 Christopher “Kip” Forbes after a recent visit to St. Petersburg, Russia, shared a photograph of some vitrines in use in the Pompeian Room of the New Hermitage Museum (one of six buildings which make up the Hermitage Museum complex built between 1842-1851). 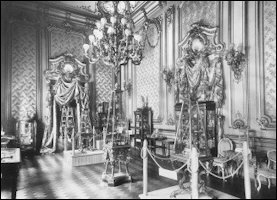 He recognized the display cases as those used in the 1902 von Derwies Exhibition of Romanov Fabergé treasures. Riana Benko, an enthusiast of Fabergé miniature and regular-sized furniture, set out to verify the information using her internet skills. The Forbes snapshot led her to a 3D video of Room 129 of the Hermitage Museum website which shows tall Victorian pyramidal glass vitrines with winged griffon supports and pine cone finials “made in the 19th century after designs by Leo von Klenze”. Independent Russian scholar, Galina Korneva wrote that on December 6, 2014, a temporary exhibition, The Hermitage in the Mirror of Vitrines, was opened in which the vitrines were the main objects of interest. They were described as “vitrine-obelisks from Cameo Hall master V. D. Shtrom on L. [Leo von] Klenze project. SPb, 1850-1852. Wood of coniferous trees, alder, mahogany, gilded bronze, glass; veneering”. 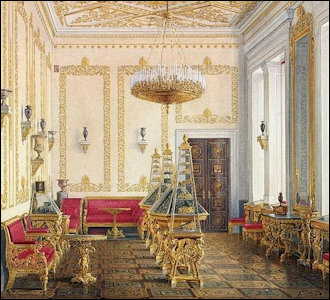 How and why do the vitrines made in St. Petersburg for Empress Maria Feodorovna after 1856 and the 2016 viewing by Forbes relate to the von Derwies mansion Exhibition of Objets D’Art and Miniatures, March 9-15 (O.S. ), 1902? A. In the middle of the von Derwies room under the chandelier is a matching tall virtine with assorted Fabergé objects. On the wall cabinet to the right is a pair of embracing amorini in the Louis XVI style1. At the back of the room a walk-thru leads to a second room with two vitrines. B. Vitrines labeled Maria Feodorovna (first) and Alexandra Feodorovna (next) display the Fabergé eggs loaned by the two Empresses. D. Pine Cone Finial; E. Decorative connections between the pieces of glass reveal a further match. The Palace on English Embankment (emb. #28 originally belonged to Pavel Grigoryevich (1826-1881), a railroad magnate and descendent of the ancient Wiese family from Germany. In the mid-18th century, Johann-Adolf Wiese, then working in Sweden, entered the Russian service as a legal counsellor and was elevated to the noble rank of the Holy Roman Empire with the addition of “von der” to his name. He made his fortune in the construction of railways, and engaged in charity. After his death, his widow Vera Nikolayevna continued to live in the Derwies Mansion in St. Petersburg. The Baroness, an extraordinary woman with a big heart for charity, was perhaps the sponsor of the 1902 charity event, and it appears to be safe to assume the three vitrines now in the Pompeian Room were made for Empress Maria Feodorovna’s Cabinet in the 1850’s, and were on a seven-day loan for the 1902 event. She died in Nice on February 25, 1903, where she and husband (deceased in 1881) had a sumptuous villa. Actually there were two buildings on English Embankment which belonged to von Derwies family. The Palace (English Embankment contemporary address #28) and the other one (English emb. 34a and English emb. 34b were joined together under #34). Architect Krasovsky rebuilt #28 in 1889-1890. Until after the death of the Baroness, no one touched or sold the buildings in the complex, since it appears both her sons (Pavel and Sergei) preferred to live on their estates. Korneva ends on a personal note – my sister and one of my daughters had their official weddings in this building English emb. #28, since for many years it served as the #1 palace for weddings in St. Petersburg. 1Identified with its history by Anna and Vincent Palmade in the Fabergé Research Newsletter, Spring 2011. 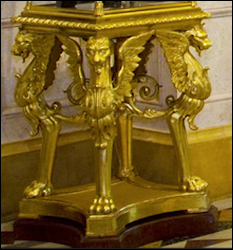 2Recently the 1887 Tsar Imperial Egg was found based on the Maria Feodorovna von Derwies exhibition case, etc. Details in the Fabergé Research Newsletter, Summer 2014. 3Fabergé, Proler, and Skurlov. The Fabergé Imperial Easter Eggs, 1997, Appendix 2, pp. 251-252. 4Bianchi, Fabergé, An Introduction, 2000, p. 28, published by Broughton International for the Wilmington, Delaware, Fabergé exhibition. In 1885, Emperor Alexander III offered his wife, Empress Maria Feodorovna, the first Fabergé Egg, as proof of his love and commitment. The ritual, a simple illustration of the fervor and affection of a husband to his wife continued to take place every year throughout the life of the sovereign. At his death, his son Emperor Nicholas II, continued giving Easter eggs to his mother and his wife, the Empress Alexandra. Between 1885 and 1917, Carl Fabergé, official jeweler of the Russian court, created 50 imperial eggs. Considered priceless treasures, the Fabergé eggs are now scattered throughout the world and continue to fascinate viewers. Seven Imperial eggs have disappeared and remain unaccounted for to this day. Specialists, descendants, art dealers, private collectors, Russian and Americans tycoons are still looking for these precious gems. Like them, we follow this insane quest around the world. We will go in search of the mysteries for one of the greatest treasures of mankind in St. Petersburg, London, Moscow, Geneva, Paris, Monaco, Washington, New York … and so many other locations which conserve and protect the original copies of Carl Fabergé’s work. We will circle the world, trying to retrace the journey of the Imperial Fabergé eggs! Never have 50 Imperial Fabergé Eggs been gathered in a single place. That is the ambition of our film. Readers interested in learning more about the plans for the film may contact Emmanuel Ryz. Was investing money in Fabergé Easter eggs from 1929-2002 a wise choice? 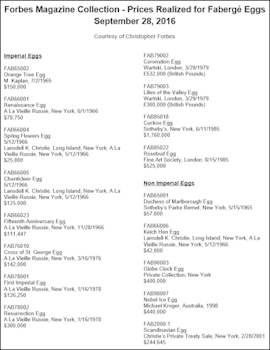 Included in this analysis are 19 auctions and 44 private sales for four categories of eggs – Tsar Imperial, Imperial, Kelch and Other identified by Lowes and McCanless in Fabergé Easter Eggs: A Retrospective Egg Enclycopedia, 2001. The auction and private sale data for the logarithmic graph below was gathered from published sources – original invoices found by Valentin V. Skurlov in the Russian archives1, auction catalogs, and the Fabergé Imperial Egg Chronology. Financial data generously shared by Christopher “Kip” Forbes lists the amounts (below left) paid for eggs acquired by the Forbes Magazine Collection (FMC). In total, the late Malcom Forbes purchased 15 eggs of which three were not given to the two tsarinas, Marie Feodorovna and Alexandra Feodorovna. The collection grew in the 1960’s-1980’s, and by June of 1985 permanent galleries opened on the first floor of Forbes Magazine headquarters, 60 Fifth Avenue, New York. In 2004, Mr. Victor Vekselberg in a direct sale purchased nine Fabergé eggs from the Forbes Magazine Collection for an undisclosed sum. Sotheby’s New York before cancelling the auction had published an estimate of $80-$120 million for the eggs, and the rest of the Fabergé objets d’art in the same collection.2 These objects became the nucleus of what is now the Fabergé Museum in St. Petersburg, Russia. 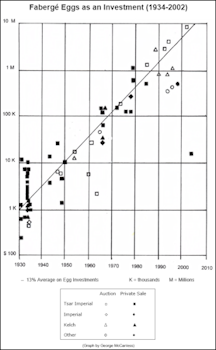 The graph with symbols (below right) includes the four categories of eggs, the year of the sale and price realized. Data for 1929 is shown as data for 1930. The turn of events after World War I, which led to the dispersal of the Fabergé eggs from Russia to the western world, is a story full of mystery and intrigue.3 Much has been written recently about this topic since records from the Soviet times are now available in Russian archives. The analysis of the logarithmic graph reveals that in 1930 a $1,000 investment in original Fabergé eggs resulted in a value of $10 million ca. 75 years later. The investment returns include compounded interest of 13% compared with a typical bank yield of 6%, or $79,000 for the same time span. The Winter Egg sales with its record-breaking prices support the above findings. Featured piece in the auction catalog, etc. High prices and insurance costs may discourage the building of high-end large private collections. Bidders may wish to remain anonymous, or be part of a syndicate in which the risk is spread. 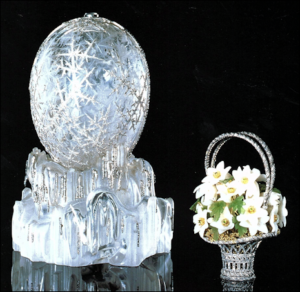 Expensive Fabergé objects, such as the Winter Egg, are not seen in exhibitions due to insurance and security concerns. The era of Fauxbergé10 and proliferation of modern objects made in the style of Fabergé11 require the occasional and the seasoned collector to become knowledgeable before acquiring objects for investments. However, the results of rising prices for Fabergé Easter eggs over three-fourth of a century at a compounded rate of 13% leads one to be optimistic. The author gratefully acknowledges the assistance of Will Lowes, George McCanless, and Sheila Mikell. 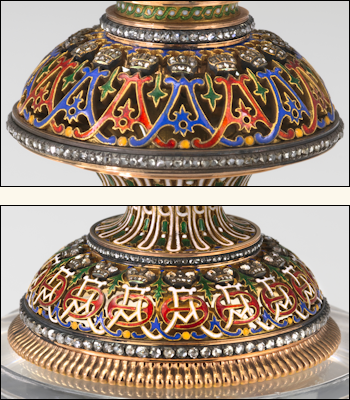 1Skurlov findings in Fabergé, Proler, and Skurlov, Fabergé Imperial Easter Eggs. Christie’s, 1997, 236-249. 2Forbes Staff, “Russian Tycoon Buys Forbes Fabergé Eggs”, April 2, 2004. 3“New Research” in Lowes and McCanless, 2001, pp. 1-16. 4Benko, Riana, “Statistical Cost Analysis of Fabergé’s 50 Imperial Easter Eggs”, Fabergé Research Newsletter, Fall 2015. 5Christie’s Geneva, November 16, 1994; Lowes and McCanless, 2001, pp. 121-124. 6Christie’s New York, April 19, 2002, includes a 19.5% of the final bid price of each lot up to and including $100,000, and 10% of the excess of the hammer price above $100,000 in Christie’s Saleroom Notice, April 19, 2002. 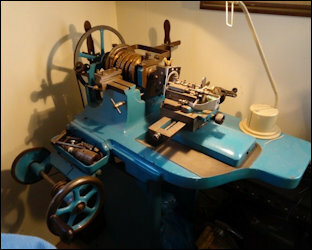 7For extensive details on Fabergé hallmarks, marks, and workmaster specialties. Lowes and McCanless, 2001, pp. 175-245. 8Snowman, A. Kenneth, Fabergé: Lost and Found, The Recently Discovered Jewelry Designs from the St. Petersburg Archives, 1993. 9Tillander-Godenhielm, et al. Golden Years of Fabergé: Drawings and Objects from the Wigström Workshop, 2000. 10von Habsburg, Géza, Fabergé in America, 1996, pp. 329-338; Marina Lopato, “More Fauxbergé” in von Habsburg, Fabergé: Imperial Craftsman and His World, 2000, pp. 386-388. Steve Kirsch Fauxberge website. 11Reproductions of the original objects of inferior quality and false marks are available worldwide. Caveat emptor! New! April 10, 2017 Unveiling of the Artie and Dorothy McFerrin Gallery at the Houston Museum of Natural Science, Texas. Fabergé: Royal Gifts Featuring the Trellis Egg Surprise exhibition highlights the reunion after more than 80 years of the 1892 Diamond Trellis Egg given at Easter by Emperor Alexander III to his wife Maria Feodorovna with the original elephant surprise, a jeweled automaton discovered in 2015 in the British Royal Collection Trust. The elephant will be on view until April 1, 2018. Fabergé in the Great War has been extended to the end of the year with the addition a one-year loan of the Onassis’s Buddha sold at a 2008 Christie’s London auction. Objects collected by Henry Walters (1848-1931), art collector and founder of the museum, including the 1901 Gatchina Palace and the 1907 Rose Trellis Eggs by Fabergé and 70 other objects will be shown. A scholarly catalog is planned. Fabergé from the Matilda Geddings Gray Foundation Collection on a rotating basis will be on view through November 30, 2021. John Atzbach and Karen Kettering will be among the speakers at the August 11-13, 2017, Northwest Jewelry Conference in Seattle (WA). Newsletter reader Linda Woytisek writes: My husband and I traveled recently from New Jersey to South Carolina, a distance of 660 miles. To break the trip up we stopped in Richmond, Virginia, where we were fortunate enough to view the Pratt Collection of Fabergé at the Virginia Museum Fine Arts just a few days after it had reopened to the public. The new interactive exhibits are worth the trip, and I would highly recommend to everyone interested in Fabergé, excellent museum exhibits, and history to view this exhibition. It is worth the travel! Many thanks for a great newsletter. Mark Stewart Productions announced its award-winning documentary film, Fabergé: A Life of its Own, will be released on iTunes, On Demand, DVD and Blu-ray on April 10, 2017. The film includes stunning new images of the world’s most valuable Easter egg: Fabergé’s “Winter Egg” of 1913. Toby Faber, author of Fabergé’s Eggs (2008) will give a lecture on the Imperial eggs in the Guildhall, Bath (UK) on June 5, 2017. Sponsored by the Bath Decorative and Fine Arts Society. Rose Tozer, senior librarian, at the Liddicoat Library of the Gemological Institute of America (GIA), attended the 2016 Fabergé Symposium in Houston, Texas. Her review of the presentations was published in Gems & Gemology, Winter 2016, Vol. 52, No. 4.
de Guitaut, Caroline, Fabergé in the Royal Collection, 2003, is a catalogue raisonné of the British Royal Collection of Fabergé, one of the largest and most varied collections in existence. The venue was shown in Edinburgh, Scotland, and London during 2003-2004. The book is now available as a PDF. Kiaran McCarthy, author of the recent book Fabergé in London: The British Branch of the Imperial Russian Goldsmith, 2016, is interviewed in “Fabergé in London: How Russian Tsarist Jewelry Was Adored in Britain. Russia Beyond the Headlines, February 13, 2017.